When was the last time you took a break from speeding through our Racing Circuit? Whether you’re on team dragons or team scorpions, you might want to pull into your garage and get in some time to work on your car or relax with your racing buddies. Celebrate your wins on the tracks by purchasing a few awesome items from our store to start customizing your space. There are furniture pieces, wall hanging, and gadgets galore, so nothing should stop you from making a place in the game that is all your own! What styles do you go for when preparing your ultimate home away from home? Let us know! Showcase your car and garage by inviting your teammates and rival racers over for some friendly celebration. After all, there is no denying how hard you all work on the tracks and when dusting those zealous zombies! It never hurts to have the upper hand in a tense race with skilled drivers. Give yourself an edge over the competition by creating your own track. Doing so will allow you to challenge other players in competitions set to your own specifications, which are most likely to your advantage. 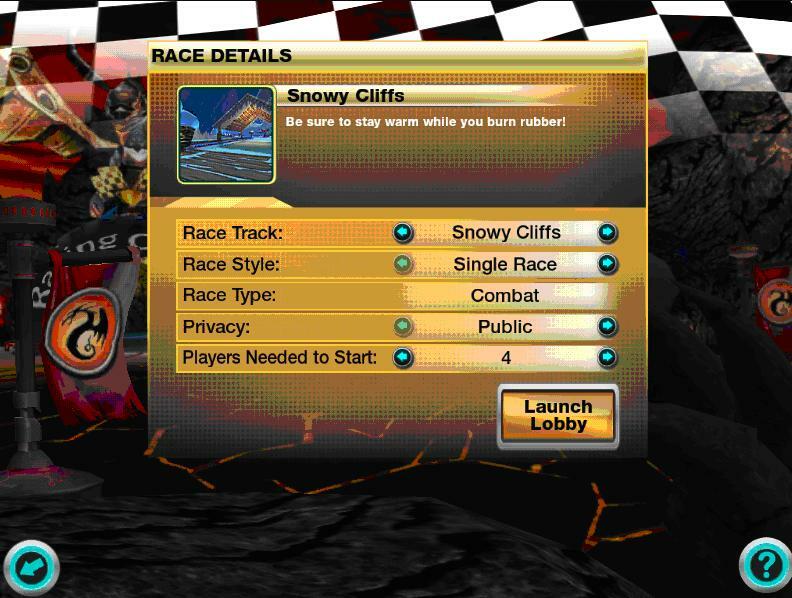 Begin your planning by heading over to the Racing Circuit and selecting “Create a Race” in the menu. You will be able to choose the specific details of your race ranging from which track to the number of players you wish to compete against. Perhaps you are a master of the sandy Egyptian roads or skilled in clinging to the slick paths of the snowy mountaintops. 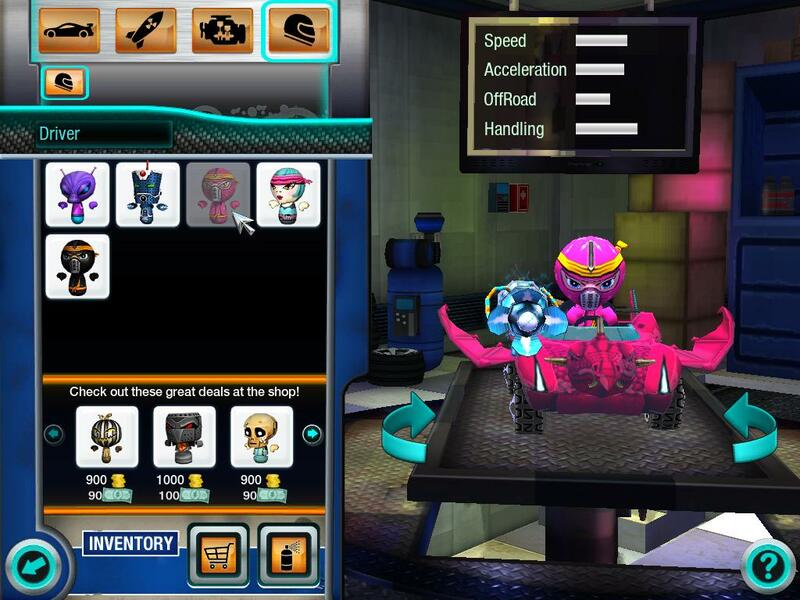 Dictate your opponents’ style of racing by setting the game as either a Single Race or Knockout. Open up your race to all Eat My Dust players or limit it to your friends by making it public or private. Finally, determine how many racers will participate in your competition. Do you wish to wreak havoc with a horde of drivers or challenge a bitter rival head-to-head? Once you have created your race launch your race’s lobby to eagerly await brave challengers. You will be able to scout out your opponents and even send them intimidating messages. However, as the creator of your raceway your driving will ultimately do the talking. Create your own races to combine a variety of tracks, race styles, and number of participants for unique and thrilling experiences. Even as the maker of your own races, the huge number of racing possibilities may keep you on your toes! Find yourself short on ammo lately? With danger lurking behind every corner, there are many reasons to keep your car prepared for the worst. From zombie attacks to battles for the hill, and a few relentless rival racers, there never seems to be a dull moment while cruising around Eat My Dust! What good is a weapon without any ammo, right? That’s why we’ve made it even easier to stay locked and loaded at all times. Take a visit to the Mechanic’s shop or Armory to check it out. Ammo is now being sold in packs of 10, 20 and 50! But, if those numbers don’t quite fit your trigger happy shooting style, you’ll still be able to buy them in other multiples by increasing or decreasing the number of packs you’ll be purchasing before hitting the road. 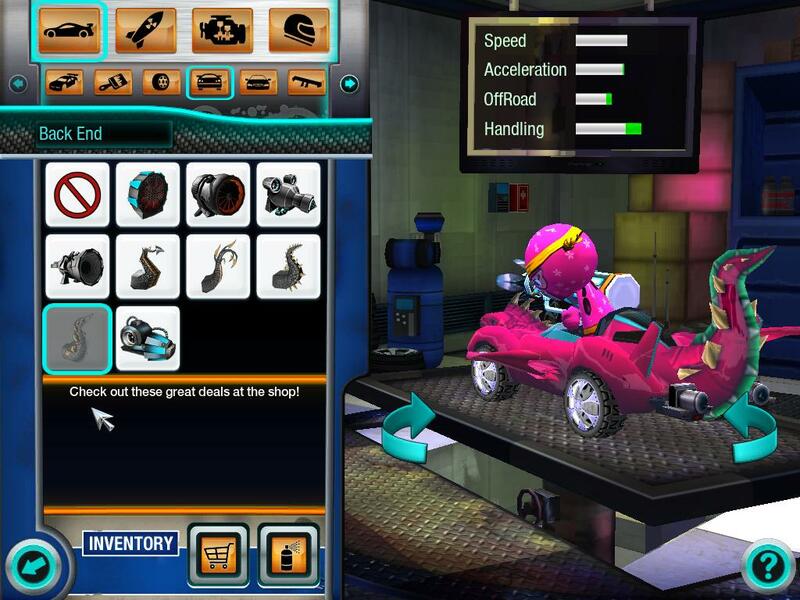 If you’re short on time and ready to jump in on the action, then forget the coins and grab a few turbo bucks to start outfitting your racing machine today! 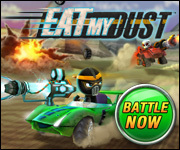 Invite Your Friends to EatMyDust.com! 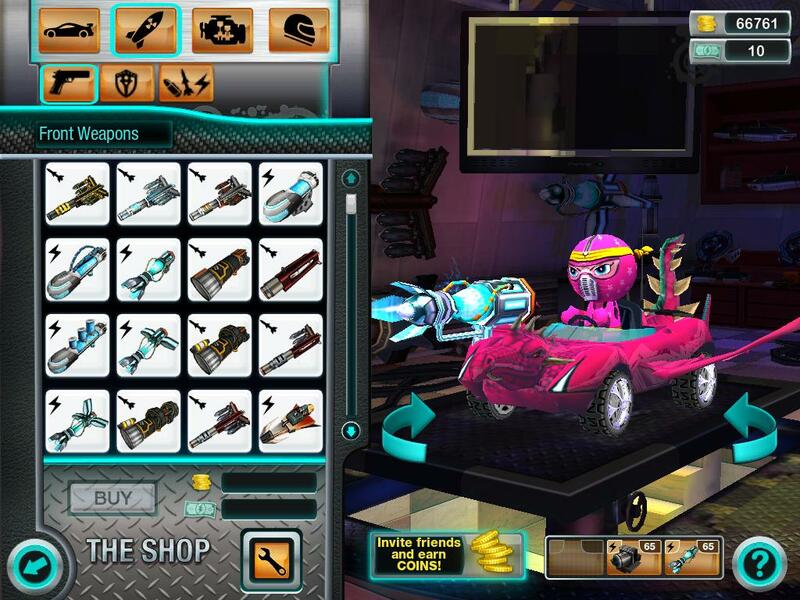 Whether its items for your garage, weapons and ammo, or new car parts, there are so many ways to customize your Eat My Dust experience! That’s why we’ve decided to help you edge out the competition, by earning some extra coins. All you’ll need to do is send your friends an e-mail, inviting them to play. So what are you waiting for? Get them in on the action too! 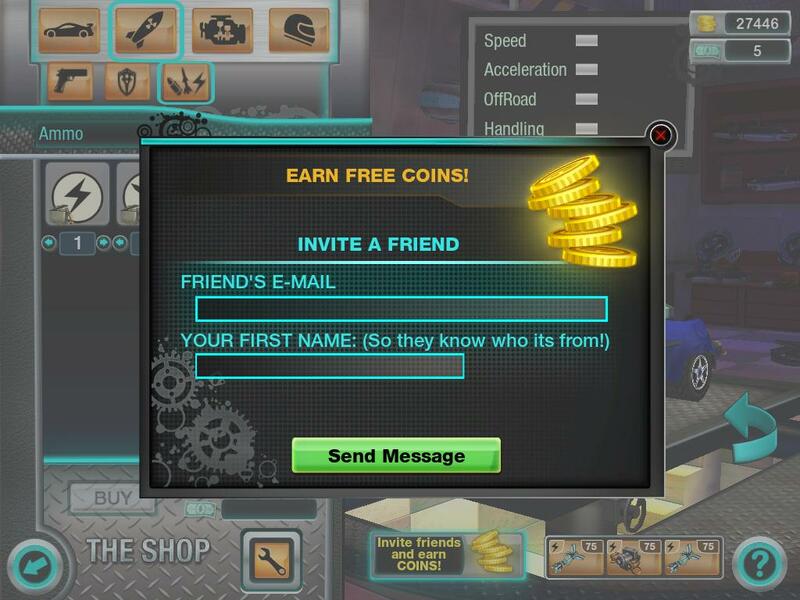 It’s the simplest way to earn coins, so invite your friends to play! Just enter their email address and your name. Then, send the invite on its way! Before you know it, you and your buddies will be speeding through the tracks and racking up Zombie kills. The only thing you can hope for is that your pal doesn’t end up on the opposing team. But we guess a little friendly competition wouldn’t hurt… right? Try it out today and let us know what you’ll be using your extra coins on! You can find the “Invite Friends and earn COINS!” button on the launch page, right when you log-in. But if you miss it on your way into Eat My Dust, the button is conveniently located on the bottom right hand corner of your gaming window and can also be found over in the Armory or Mechanic’s Shop. Have you been noticing a few changes around Eat My Dust, lately? With drivers choosing sides between our rival racing teams, the roads have been feeling a little more dangerous. Make sure you’re ready for anything, both on the track and around the yard, by equipping your car with some of the latest weapons! Check out the latest Weapons update! 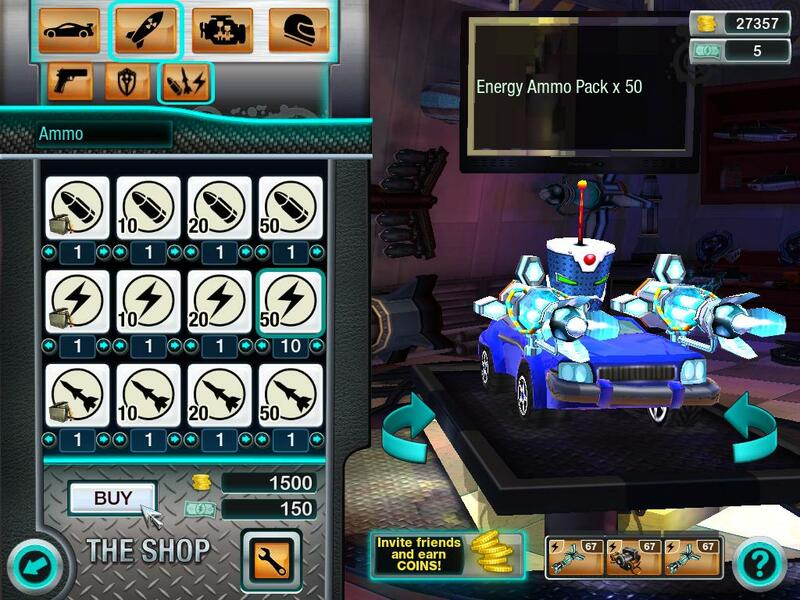 The more powerful your car’s weapons are, the more coins you get for shooting other players! Keep this in mind while building your custom racing machine! But before you hit the road, don’t forget to grab enough ammo for all your weapons; because what’s a weapon good for with out any ammo, right? From lightning guns to plasma cannons Eat My Dust is your one stop shop for all things destructive. With just a few fun purchases, you’ll be seeing more coins no time! Stop on by, today, and let us know what you think of the selection! To Boost or Not To Boost…Is That Even a Question? Do you keep finishing last in all your races? Sounds like you need a better set of wheels! 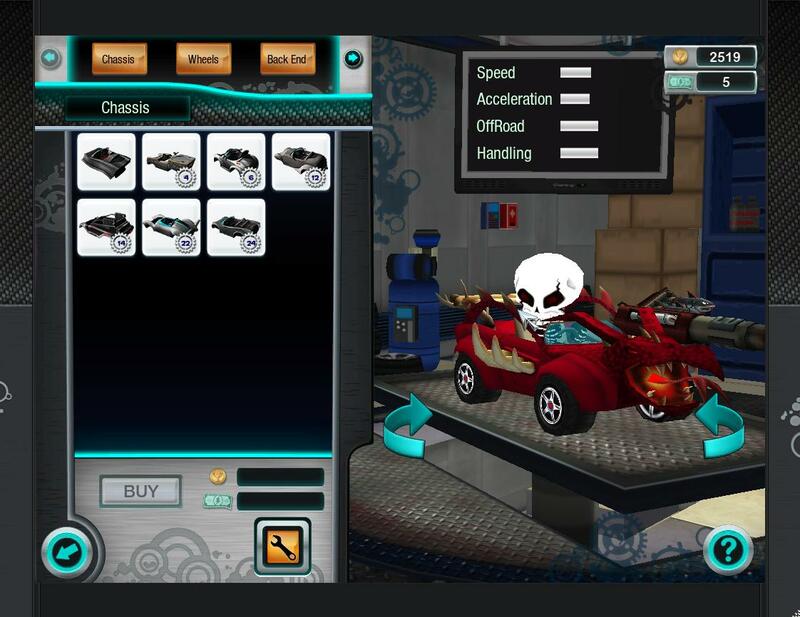 Visit the Mechanic’s Shop, where you can buy special items that will give your car the lift it needs to win! 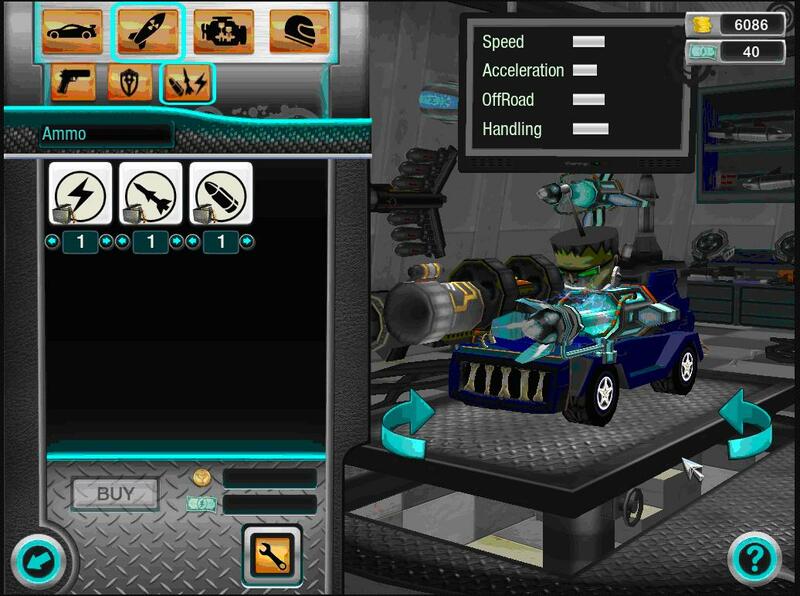 The bars at the top of the screen will change to show how each part will affect your car. When the bar turns green that means the part will amp up your car, but when it turns red the part will lower your car’s stats. You’ll need coins and rank to buy these items, though! Get started by joining races. The higher you place, the greater your prize will be. So, you’re going to want to continue to buy items to make you a bigger, better, and faster racer. Don’t want to wait to earn coins? Just purchase Turbo Bucks! They can be bought through the game and work similar to coins. With Turbo Bucks, you can buy any item for your car, no matter what rank you are. So, what are you waiting for? Get a head start on building your car today!